As you might already know that oranges are packed with vitamin C, the little miracle vitamin that helps protect against immune system deficiencies and cardiovascular disease. Most people know that fruit is good for you. 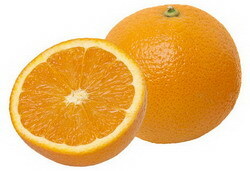 But some may not know that oranges have been proven especially effective in preventing certain types of disease. Oranges are high in vitamins and minerals that boost your body's natural defenses and help fight against heart disease and anemia. However, they also have a high acid content which may irritate some preexisting conditions. Sweet cherries have been popular snack for centuries. We all know. They have been associated with pie and other deserts long enough, but did you know that cherries fruit is full of healthy antioxidants. Anti-inflammatory property of cherries has also been found effective in reducing heart-disease risk factors, and helps patients with arthritis. Are cherries a sweet berry? Is a cherry a berry or a fruit? What is the difference between tart cherries and sweet cherries? Let's discover the answers and learn more about the healthy side & the nutritional benefits of Cherry Fruit as well as the Cons of Cherries! Blackberries fruit are rich in polyphenol antioxidants to fight oxidative stress, cardiovascular disease, and prevent certain cancers. It's also believed to have healthy benefits on diarrhea and dysentery. Blackberries are often confused with black raspberries. Did you know that they taste different and are two different fruits? What is the difference between blackberries and black raspberries? Let's discover the answer and learn more about the nutritional benefits of Blackberry Fruit as well as the Cons of Blackberries! One of the healthy berries is raspberry. You might already know that raspberry provides the most significant sources for ellagic acids as a dietary supplement sold in many health food stores. As an antioxidant fruit containing the phytonutrients, raspberries provides strong antioxidants to inhibit the oxidation process in cells which help neutralize free radicals. According to research, this fruit has almost 50 percent higher antioxidant activity than strawberries, 3 times that of kiwis, and 10 times the antioxidant activity of tomatoes. Raspberry leaves are also known to be effective in regulating the female menstrual cycle. Black raspberries are often confused with blackberries. Actually, they taste different. What is the difference between black raspberries and blackberries? There are still other raspberry benefits you might not aware of, so let's learn more about the nutritional benefits of Raspberry Fruit as well as the Cons of Raspberries! You might already enjoy the red berry 'Cranberries' which is generally used for cranberry sauce or jelly or juice. Did you know that a diet rich in cranberries may help prevent and treat urinary tract infections (UTIs) in women, which are commonly caused by bacteria known as Escherichia coli? The cranberry tannins have anti-clotting properties and may reduce the amount of dental plaque-causing oral bacteria, thus being a prophylaxis for gingivitis. The cranberry benefits of the red berry do not end there, so let's learn more about the nutritional benefits of Cranberry Fruit as well as the Cons of Cranberries! No wonder if strawberries are the most popular type of berry fruit in the world. There are more than 600 varieties of strawberry fruits that differ in size, texture, and flavor. This healthy edible fruit contains antioxidants that provide protection by neutralizing free radicals. Did you know that a cup of strawberries have more vitamin C than an orange? Many sources also note that after raspberries and grapes, strawberries also rank as the best fruit source of manganese among the World's Healthiest Foods. The benefits of this berry do not end there, so let's learn more about the nutritional benefits of Strawberry Fruit, Strawberry Facts, as well as the Cons of Strawberries! We've previously learned that Pistachios are a naturally cholesterol-free snack. 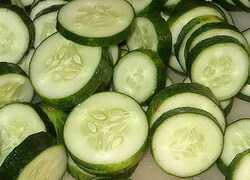 Here's another healthy snack we can eat to gain cholesterol-lowering phytosterols. Let's learn more about the nutritional benefits of Sunflower Seeds as well as the Cons of Sunflower Seeds.